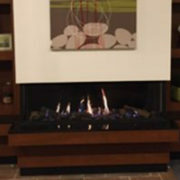 Installing a Custom Fireplace Door is a great improvement to both the design and utility of your fireplace. 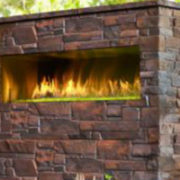 Open-faced fireplaces can be drafty, and when you install a vented gas log, it can sometimes be impossible to keep the cold air from pouring down the chimney into your room. That’s where an aftermarket custom fireplace door can be a major benefit. Don’t stress the measurements, we’ve got you covered. Rettinger Fireplace requires a site inspection prior to ordering your new door, ensuring that the door is built correctly and the installation goes smoothly the first time. We’ll work out the details, so all you need to consider is the design elements and putting your own personality into your new door. 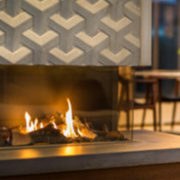 Stoll Fireplace Doors, Manufactured With Pride in The U.S. Stoll doors offer a litany of options that will improve your fireplaces appearance and efficiency. 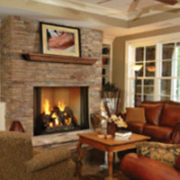 We are proud to provide glass fireplace door installations in Camden County, Cape May County, Atlantic County, Gloucester County, Burlington County, Cumberland County, Ocean County, NJ and Philadelphia / Mainline, PA.
Security: It’s rare to find something more soothing and captivating than a warm, crackling fire on a frigid winter day. At the same time, there can be an element of danger to an open fire. Stoll’s positive latching cabinet mesh doors keep sparks inside the fireplace and children and pets out of the fire even when the glass doors are open. So you can enjoy your fireplace without having to worry. 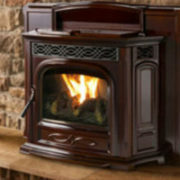 Efficiency: Fireplaces will naturally draw air from the home to vent smoke. This also means that when a fire is not burning, your climate controlled air will be escaping your home through the chimney. 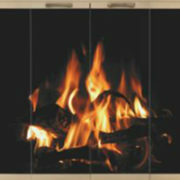 Properly installed glass fireplace doors can reduce airflow through the fireplace opening by up to 99%. 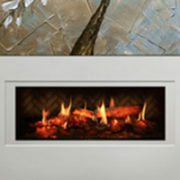 Style: The best thing about a glass fireplace door is that you can have security and efficiency with style. Too often in life, you can’t have your cake and eat it too. Not true with a glass fireplace door. With various designs from simple to elegant, traditional to contemporary, and an extensive palette of colors and trim accents, a Stoll glass door will add a superb accent to the overall ambiance of your fireplace room.